he world looks to India for answers to spiritual questions. Here great masters have established temples of learning that attracts seekers from all over. The walls of these holy places reverberate with the tinkling sounds of the bells and resonant chants fill the air. Explore the holy Mt. Kailash and Mansarovar. Arrival into and departure from Kathmandu Airport would be on your own arrangements. As per new rules, booking should be done 1 month in advance. Fullmoon Dates 2016 at Mansarovar/Kailash: May 21*, June 20*, July 19*, August 18*, September 16*. It is mandatory to carry a valid passport - validity 6 months before travel date and two copies of pp size photograph. Itinerary is subject to change due to unavoidable circumstances and the extra cost incurred has to be paid by the clients. Double sharing hotel in Nepalgunj and 3or 4pax in Simikot and Tibet. After the Mansarovar to Kailash; all the private vehicles are not allowed; So Yatri will be escorted by the ECO- buses only. Single occupancy will be applicable for 02 nights stay in Kathmandu only. Stay at rest of the places will be on twin / triple sharing. Transport from Kailash to Mansarovar will be by Eco Deluxe Bus, provided by the Tibet Tourism as no private vehicles are allowed in that particular region. Kathmandu	Hotel Shankar / Park Village Or Similar	01Any Air fare/ train fare / bus fare, unless specified. Any transport to Kathmandu / from Kathmandu. Your tour price starts Ex Kathmandu. Alcoholic and Non - Alcoholic beverages and personal nature cost. Any items and services not mentioned in 'Cost Includes'. 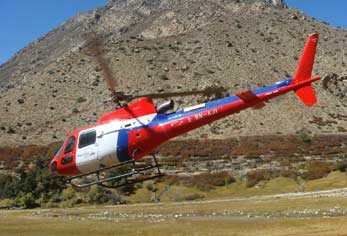 Welcome to your 'Kailash Manasarovar Yatra - By Helicopter' tour! On arrival at Airport in Kathmandu, post customs and immigration, you will be transferred to your hotel. The rest of the day is at leisure for leisure activities. Early morning, visit the Pashupatinath Temple which is one of the most significant Hindu temples of Lord Shiva in the world, located on the banks of the Bagmati River in the eastern part of Kathmandu. The temple serves as the seat of the national deity, Lord Pashupatinath. The temple is listed in UNESCO World Heritage Sites list. Later, we visit Guheshwori Shaktipith, is one of the revered holy temples in Kathmandu. This temple is dedicated to Adi Shakti. Thereafter, drive to the airport in Kathmandu to board your flight to Nepalgunj (450 mts). On arrival at Nepalgunj, proceed to your hotel. This morning, drive to the airport to board your flight to Simikot (2950 mts). On arrival at Simikot, proceed to your hotel. Later, visit Shiva Mandir and get acclimatized to high altitude. 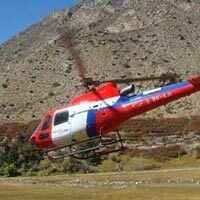 This morning, board your helicopter from Simikot for a 30 minute flight to Hilsa. Arrive Hilsa and drive for 1 hour to reach Purang (3750 mts). Drive to Mansarovar (90 kms / approx. 3 hr drive) to get your first view of the holy Mt. Kailash and Mansarovar. Take a dip and offer prayers in the holy Mansarovar lake. Early in the Morning Puja at the lake and holy Dip. Drive to Darchen (4620 mts / 2 hours drive) and then trek to Asthapad. Drive to Yamadwar (30 minutes drive) and then trek to Kailash Parikrama starting point and trek to Diraphuk. (4750m / walk 5-6 Hours). Today's trek is amongst the most difficult day of the yatra including a steep climb up to Dolma La Pass (5,636 mts), the highest altitude of your parikrama. Stay here for offering prayers and to relax. Slowly descend to your Guesthouse in Zuthulphuk (Trek 10-12 hours). This morning, after a short trek (2 hrs), drive to Purang and to Hilsa. Note: Overnight stay would be in Hilsa or Purang depending upon the weather. On arrival at the airport in Kathmandu, get transferred to your hotel. Today, bid farewell to your 'Kailash Manasarovar Yatra - By Helicopter' as you get transferred to the airport for your onward journey. b. In case of minor where PAN Card is not available, the PAN Card details of parent / guardian are required. c. You will have to provide a declaration in Form 60 in case you do not have PAN Card. d. Cheque / Demand draft to be in the name of "Cox & Kings Ltd."
There will be a service tax of 14.50% presently applicable over and above all mentioned charges. Hence, post deduction of cancellation charges with service tax, balance amount will be refunded. n case of third party products, such as cruise holiday, bus and train tickets, 5 Star hotels, services during the trade fair period, festival periods, the rules relating to payment terms, cancellation and the cancellation schedule prescribed by the concerned third party service provider would be applicable and in addition the Company shall have the right to claim service and communication charges of Rs.2,000/- per person. There will be a service tax of 14.50% presently applicable over and above all mentioned charges. Hence, post deduction of cancellation charges with service tax, balance amount will be refunded. i) In case of visa rejection, you would be deemed to have cancelled on the date of intimation of such rejection. Please see our Visa Guidance section for further details. iii) If on your failure of payment or other default, no notice of cancellation is issued by us but your payment or default remains outstanding on the date of departure, the booking shall be deemed to have been cancelled by you without any advance notice, inviting the applicable Cancellation Charge. Please note that refunds of foreign exchange component of the tour cost will be based on our buying rate of that date. Every day we i.e. Cox & Kings Limited publish on our web page (http:// www.coxandkings.com/live/products/forex/index. php) and through our sales network, our buying and selling rate for foreign currency applicable for that day. 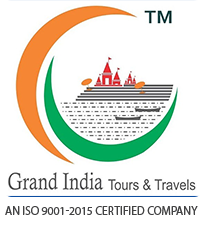 When we receive Indian Rupees from you in relation to a booking, we convert them into the foreign exchange component of the tour cost at our selling rate, then applicable. However, when we refund the foreign exchange component to you in Indian Rupees, we do so at our buying rate applicable on the date of refund and after deductions of bank charges as applicable in cases of bank remittance / telegraphic transfer. A double room has either a single queen-size bed or two separate beds. If the Client requests for a room with queen-size bed or twin bed, the same would be provided subject to availability as most of the hotel rooms are twin- bedded. In case of non-availability of a room with a queen- sized bed, a twin beddedroom would be given. In case of non-availability of either of them, the booking will be made based on the availability of the hotel. We generally engage air-conditioned / non-airconditioned luxury coaches / cars, but we are not responsible / liable if the air-conditioning equipment malfunctions for any reason. Normally, the air conditioning will not function during hill drives for coaches and cars. Your Travel insurance which is underwritten by United India Insurance Co. Ltd. is an add-on benefit provided by TrawellTag Cover-More along with its assistance services and ancillary products, which is included in our tour package (excluding group tours, third party products and SAARC Countries) that entitles you to travel insurance cover during the duration of the tour. An additional charge is payable in case you wish to extend the duration of your tour. The cover is provided for all the passengers only up to 80 years of age in case of domestic travel. All passengers travelling overseas and above the age of 80 years should undergo the required medical tests post which the insurance company will issue travel insurance at an extra premium paid by the passenger. We shall not be liable for any consequences arising due to a pre-existing medical condition on participation in adventure sports even if you have opted for an additional adventure sports cover. It must be noted that pre-existing diseases are not covered under this insurance policy. Please take note that, in case of death of the tourist (s) all the arrangements for transportation of the dead body including procuring the death certificate, post - mortem, re - patriation of dead body and all personal effects / property and insurance claims etc. shall be made by accompanying relative and / or accompanying known acquaintances of the deceased. Company shall not be responsible for extending any help for the same. The entire expenses shall be borne by the accompanying relative / or accompanying known acquaintances of the tourist. The Company or any tour leader shall not be responsible for the same. In case any of the relatives wants to visit the country where the tourist has expired, all the necessary arrangements shall be made by the said relative only at his / her cost. Cox & Kings will provide Travel Insurance for passengers travelling to Kailash Mansarovar Yatra subject to approval by the insurance company and for an additional cost. For group tours and all third party products, insurance cost is not included in the tour cost. b) It must be noted that all Non - Resident Indians / Foreign Nationals need to buy insurance on their own for the specified tour and time period as per the regulatory guidelines. Cox & Kings will not be liable for purchasing insurance for Non - Resident Indians / Foreign Nationals.